As a board-certified pediatrician and a Fellow of the American Academy of Pediatrics, Bina Adigopula has provided pediatric services to children in east San Diego for over 20 years. She is proud to serve patients at her pediatric care facility, Grossmont Pediatrics, in La Mesa, California. 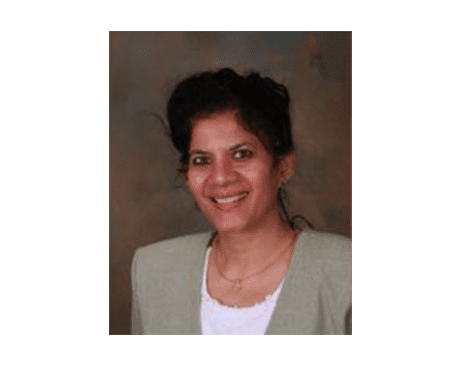 Educated at the University of Delhi College of Medicine, Dr. Adigopula completed her residencies at Westchester County Medical Center and at Methodist Hospital in Brooklyn, New York. She started her early practice at Scripps Chula Vista and after a few years at other practices and clinics, she opened her own private practice at Grossmont Pediatrics in 1996. Her goal was simple: Individualized care of the child, with a family focus. She is also an active member of the senior staff at Sharp Grossmont Hospital and at Rady Children’s Hospital, where she holds Nursery, NICU, and Pediatrics privileges. She is a former Chairman of the Grossmont Pediatrics Supervisory Board. She is also a teacher – precepting DO and NP students from three different universities in California and Arizona – who rotate through Grossmont Pediatrics. Dr. Adigopula is a U.S. citizen, and trilingual in Spanish, Hindi, and Telugu. As a married mother of three, Dr. Adigopula understands that parents and family members want to keep their children in optimal health. She provides compassionate pediatric care, treating every child as an individual, and developing a care plan that reflects it. Call Grossmont Pediatrics today or go online to make an appointment for your child to receive excellent pediatric care. Be it a wellness exam, vaccine, or for an illness or a condition that doesn’t seem to go away, the expert team of pediatricians is here to help.